Leaked NSFW Photos Of Scarlett Johansson's Alien Seductress in Jonathan Glazer 'UNDER THE SKIN'! Is it part of the marketing? Who knows but some interesting images / captures have emerged online of Scarlett Johansson's Alien in Jonathan Glazer's Under the Skin. Check them out here. From visionary director Glazer comes a stunning career transformation, a masterpiece of existential science fiction that journeys to the heart of what it means to be human, extraterrestrial — or something in between. A voluptuous woman of unknown origin [Johansson] combs the highways in search of isolated or forsaken men, luring this succession of lost souls into an otherworldly lair. They are seduced, stripped of their humanity, and never heard from again. Based on the novel by Michel Faber [The Crimson Petal and the White], Under the Skin examines human experience from the perspective of an unforgettable heroine who grows too comfortable in her borrowed skin, until she is abducted into humanity with devastating results. 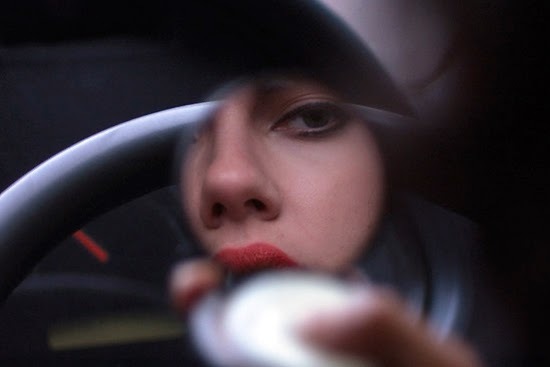 I'm reading: Leaked NSFW Photos Of Scarlett Johansson's Alien Seductress in Jonathan Glazer 'UNDER THE SKIN'!Tweet this!